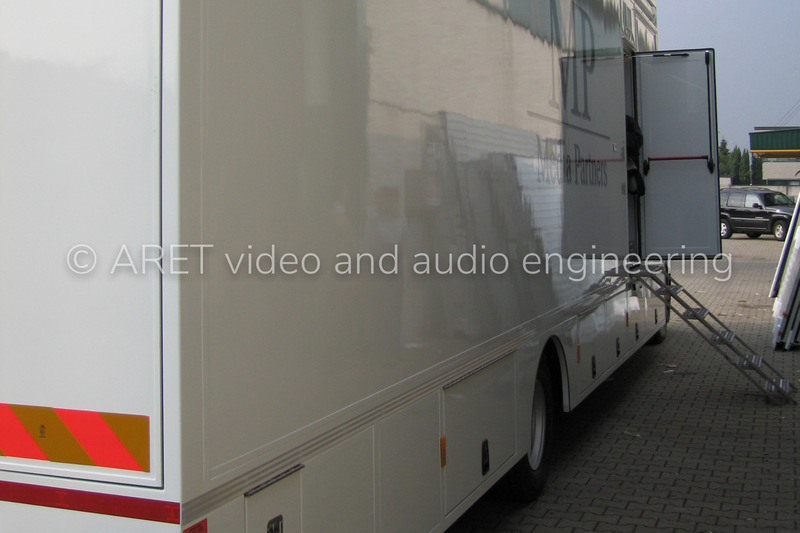 ARET auxiliary vehicles are “design-free”: vans, trailer or trucks used for transportation or as power generators; you can ask ARET´s designers the best solution for your needs. 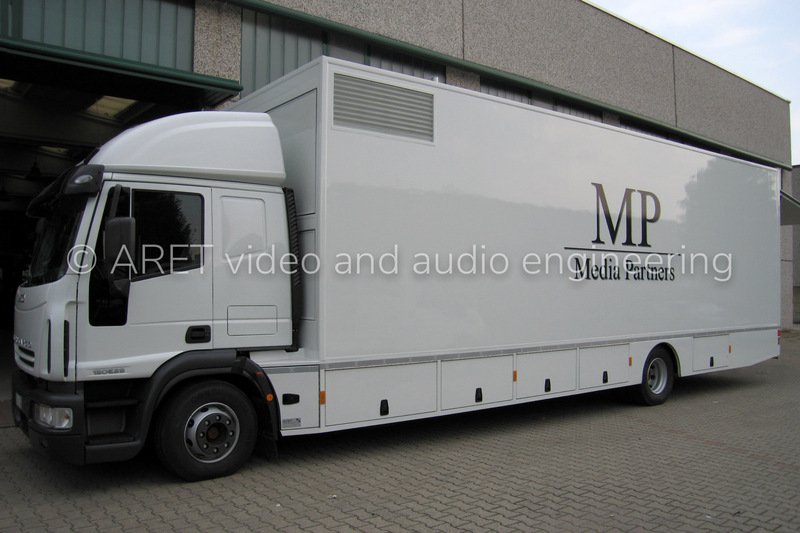 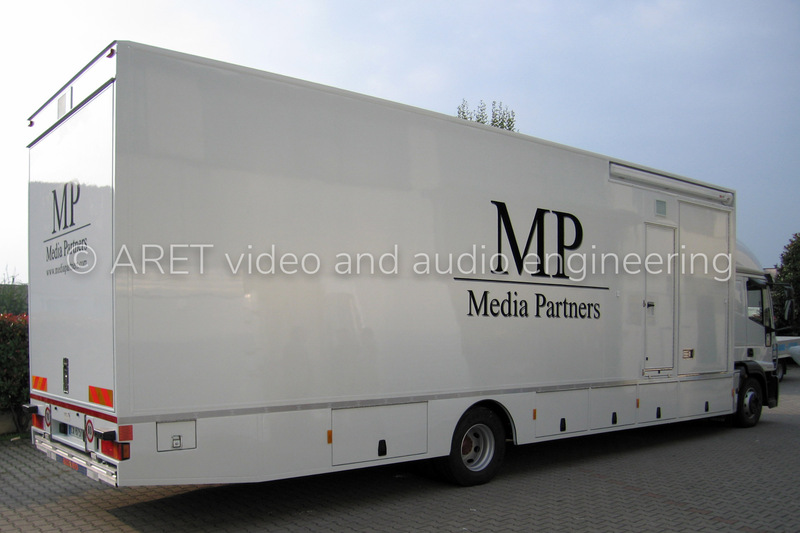 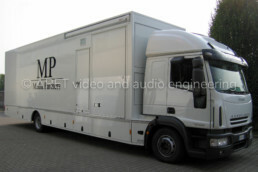 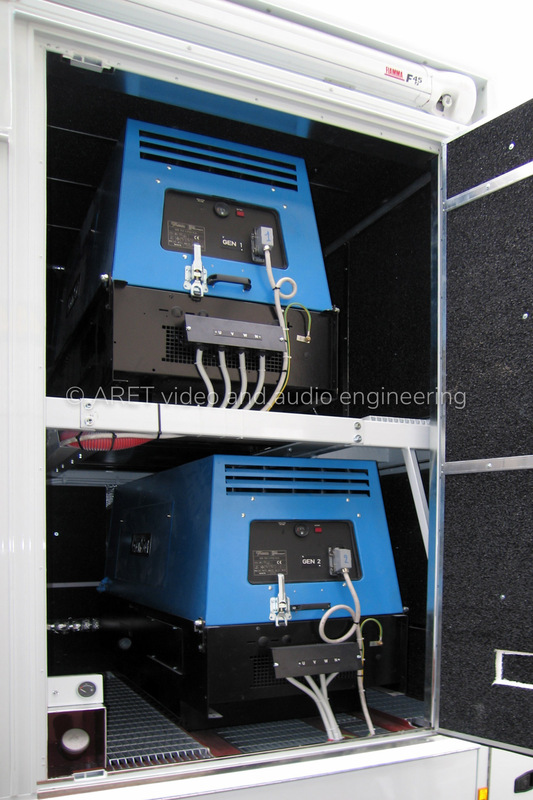 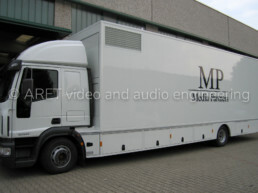 This is a Diesel Generator OB Van with two diesel generators with a logical system to correct and to synchronize both the voltage outputs. 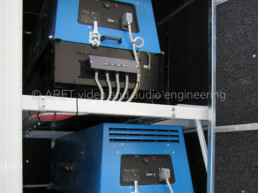 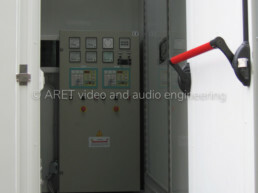 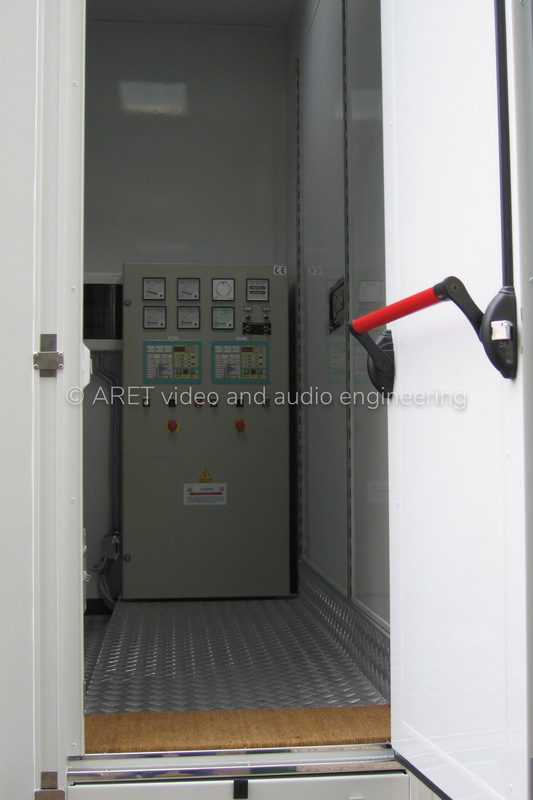 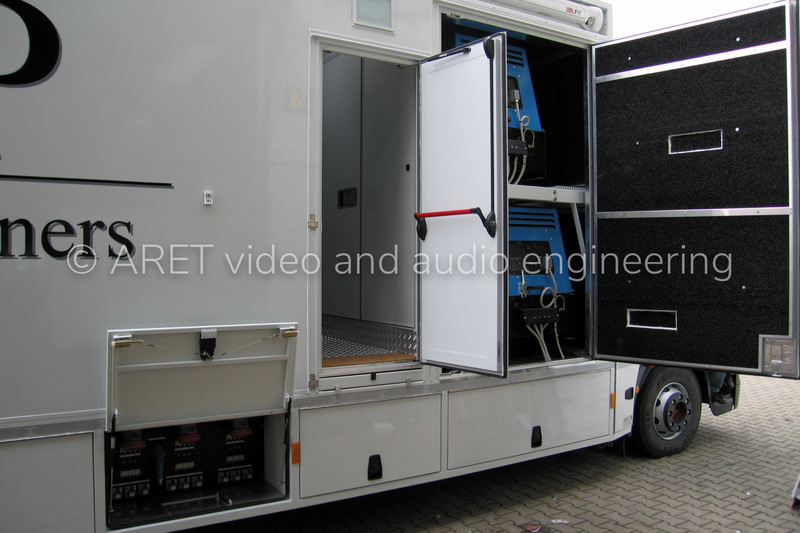 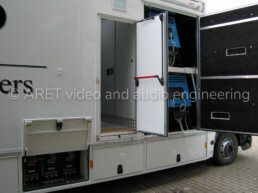 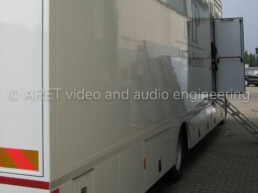 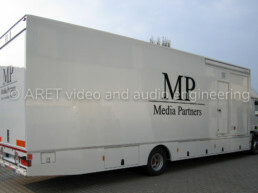 ARET’s engineers’ experience and the care to the layout, allowed to dedicate a wide space to the storage.